Our mission is to satisfy the needs of our customers and us for natural beauty, massiveness, and harmony with nature through log and timber construction. Like the ancient alchemists, while converting huge trees into warm homes we also create a beneficial transformation in our customers and ourselves. 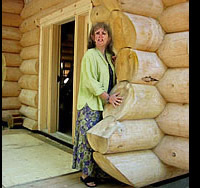 "Les Maisons de Billots Jacques Larivière Inc." has ccc specialized, since 1976, in the field of handcrafted Scandinavian "full-scribe" log homes. 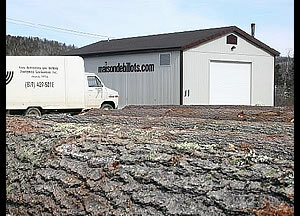 Our factory on Highway 117 in La Conception, Quebec includes a sawmill. A large indoor area to produce some products in all seasons complements our outdoor construction area. 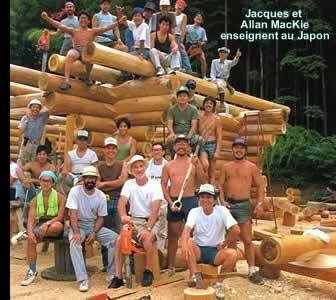 Jacques Larivière, has built a solid reputation, both by designing and building over 160 residences, and, promoting and teaching log building to over five hundred students throughout Canada and Japan. Our homes have ranged in size from luxurious, custom-built homes to small, "Hansen and Grettel" chalets.